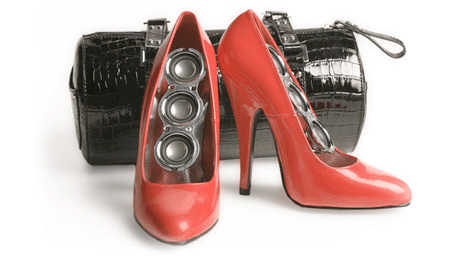 The most innovative and creative speakers that will fill your room with sound. 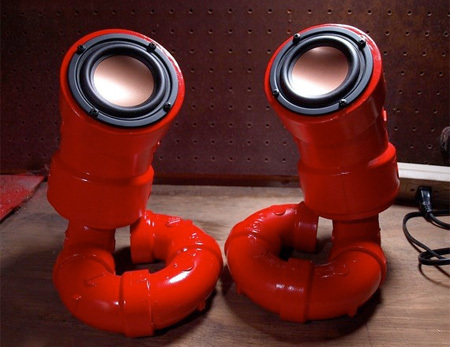 Unique audio speakers handmade out of PVC pipes by Eric Nelson. Beautiful horn shaped loudspeakers designed by Ferguson Hill. 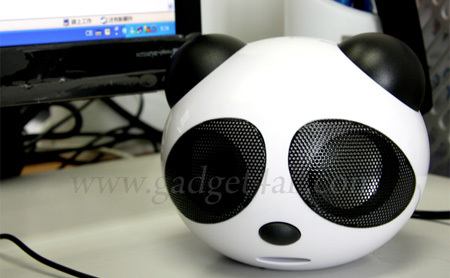 Adorable panda shaped USB powered speakers for your desk. Modern bookshelf features an iPhone dock and two speakers. Acoustable table comes with built in speakers and audio system. 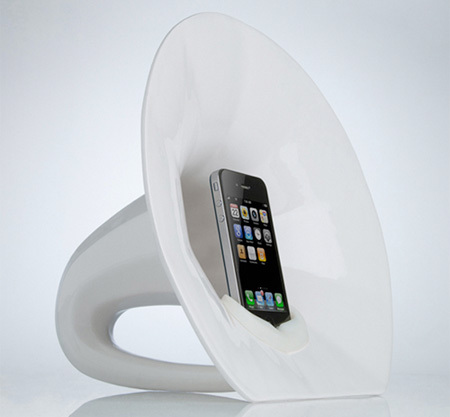 Stylish concept speakers allow you to focus the sound on just yourself, or spread the signal around the room. 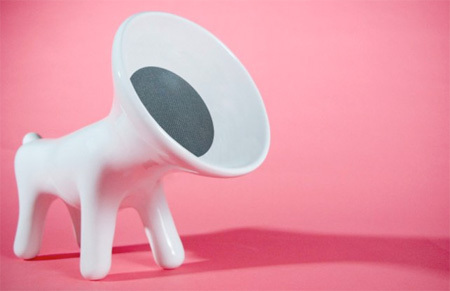 Limited edition ceramic speakers designed by Matteo Cibic Studio. Colorful ball shaped rechargeable speakers from YUENTO. 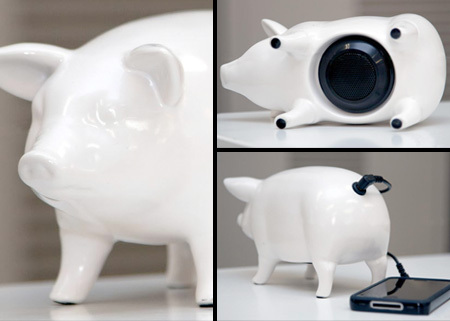 Series of speakers that resemble cute pigs designed by IDEA. 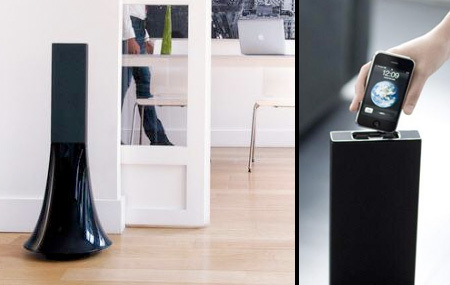 Engaging sound from these speakers will sweep you off your feet. 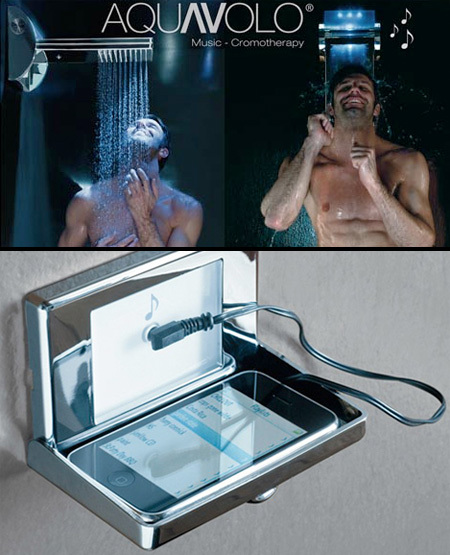 MP3 shower head from Bossini comes with built in speakers that will play music from your iPhone. 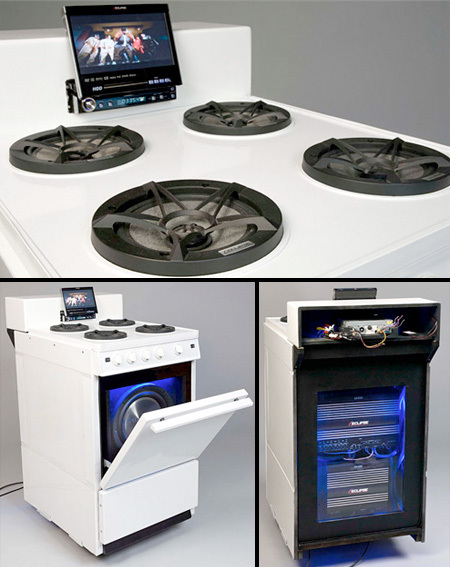 Old stove was transformed by Tyler Held into a stereo system. 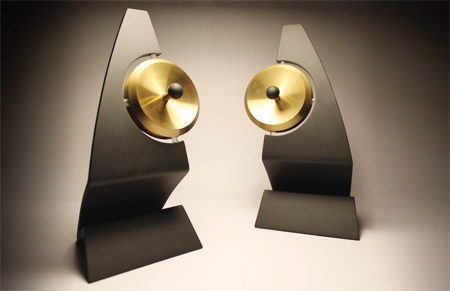 Creative speakers designed by Sander Mulder and Dave Keune. 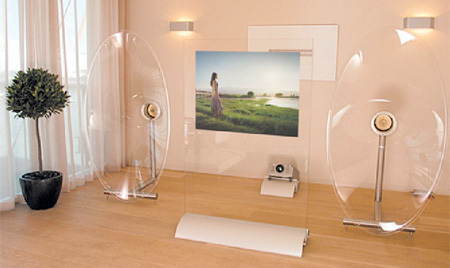 Cool speakers designed by Philippe Starck exclusively for Parrot. This useful device amplifies the volume emitted from an iPhone internal speaker by roughly 4x (approx. 60 decibels). Stove is BY FAR the best one on here. I’m surprised we haven’t seen it before. Perfect shapes for a sound system, well done. That panda thing is awesome, made me smile on a crappy day.. :) Don’t like headless dogs, though. 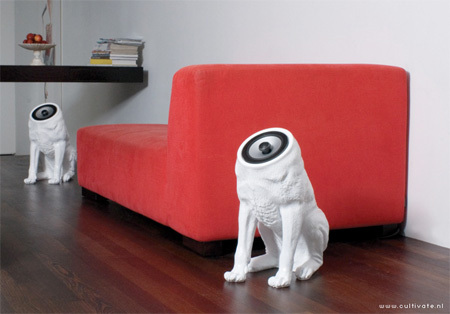 I just love the Hi-Fido Speaker, it’s so cute! All of them are original and cool, nice collection! The PVC schtick was done YEARS ago by Hammacher Schlemmer. Their’s were much taller, like 3 or 4 feet, but the same approach. The stove is the winner, by far. Shower and Coffee table FTW ! The stove may be pretty but it’s the WORST idea on here… it’d be FILTHY in a week. Woofer and Zikmu speakers are ugly and not creative at all. Some of these look neat, but how many would actually recreate sound well?